There are numerous ways of making money from investing. Whether it be investing directly into a company, purchasing property, stocks and shares, or via a micro-investment platform. It’s rewarding when your money goes towards something that benefits either yourself, your loved ones or the wider community, as well as keeping your money safe. Ethical investment is an investment strategy that seeks to consider both financial return and social or environmental benefits. Ethical investments may keep your conscience clean but there is the question of whether they can deliver capital that also makes them worthwhile or not. They are investments after all, so their financial viability is, of course, a pressing concern. In this article, we explore this question. Ethical investment funds have gone from being perceived as an expensive oddity and generally poorly understood to a more common part of modern investing. And this trend looks set to grow, as a new generation of ethical consumers and investors come of age. This post breaks down some of the different ways that you can invest ethically and the potential rates of return you can hope for from different options. First off – is it actually ethical? Much like a VW diesel car, many ethical funds purport to being lean and green but once closely examined, they are no different to any other fund. Therefore, it is important to closely examine what each fund is investing in and to what extent. Firstly, you need to clarify what ethical means to you in terms of ‘ethical investing’. It is important that you understand what you are putting money into with any investment but particularly with anything that purports to be ethical. If you are looking to make a truly green investment then be wary of companies that are looking to make money for themselves primarily and the environment (or other ethical cause) second, from the investment of others. The Banking Standards Board is an industry-led and funded organisation that seeks to build a culture of responsible investment in the UK. However, the process of ‘greenwashing’ is rife. Companies such as Shell and BP are constantly looking to promote their ‘green commitments’ but they remain responsible for emissions that are contributing to climate change. It may be better to invest in green technology companies rather than companies currently dominating the energy market. If you have a wide enough portfolio this could be more profitable in the longer term given that we are likely to need alternative sources of renewable energy in the (not so distant) future. The green tech companies that will come to dominate the market are as yet under-invested and there is no clear market leader. This provides a great opportunity for potential investors. It seems reasonable to think that there will be a transformation in industry, that some of the big winners will be green companies who will be able to benefit from government investment and won’t be hampered by ever toughening environmental legislation. In many ways, it is a very exciting time to invest because the green industry is in a somewhat nascent stage. Our advice is to research carefully so that you can choose the right combination of investments to balance out risk with reward. One of the easiest ways to begin your ethical investment portfolio is to transfer your savings into an ethical bank. An ethical bank (also known as a social, alternative, civic, or sustainable bank) is a bank concerned with the social and environmental impacts of its investments and loans. Think fair trade movement, ethical consumerism and social enterprise. The Co-op Group has been the go-to for ethically minded consumers. However after a controversial bailout by the private sector in 2013, there was a consequent loss of confidence in the Co-op as an ethical investment opportunity. Since then a consumer union has been formed to lobby the bank and keep actively scrutinising its actions. The savings that the Co-op offer are fairly typical for a savings account at between 0.75-2%, meaning that you will likely gain a better return through investment than you would through interest. However, this won’t keep up with inflation rates. Other banks like the Post Office offer roughly the same rate for a savings account. When compared with bigger banks like HSBC or Barclays (which are less ethically minded) they offer a very similar rate of return. If you are thinking of investing ethically then it makes sense to consider where you bank in the first place. Given that there is no dramatic difference between different accounts then it is a fairly easy choice. A savings account in an ethical bank may not be the way to make your millions, but if you are just looking for a more ethical place to store your money or a tax-free ISA, then it is certainly something to consider. If you are looking to make a more substantial rate of return and beat inflation, then an ethical fund might be the way forward. There are a variety of big ethical funds that will manage an investment portfolio for you, specifically catered to your ethical requirements. Just be sure to confirm what they consider ‘ethical’ because it can mean many different things. There are two broad types of ethical funds. From negative screening such as avoiding tobacco and oil companies; to positive screening such as actively seeking new green and ethical places to invest in. The Rathbone Ethical Bond was the winner of Money Observer’s 2017 award for Best Ethical Fund and offers a 1-year return of 10.9%, or a 3-year return of 24.4%. They use both positive and negative screening to ascertain the right combination of ethical divestment and investment. When compared to other winners of Money Observer’s award, the rate that Rathbone are offering compared with GAM is favourable. GAM Star Credit Opportunities GBP won the Best Sterling Bond Fund and offer a 1-year return of 14.3% and a 3-year return of 29.3% – not a massive amount more than Rathbone’s offering. While this is not indicative of the market as a whole, with some firms doing significantly better or worse, it does provide a useful snapshot of what the outlook is for ethical funds. Although ethical funds will inevitably grow as more people look to invest in a way that does not compromise their morals. Investing directly into an ethical company or a group of ethical companies as part of a wider portfolio is recommended. Ethical investment can be a riskier venture and therefore should only be part of an investment strategy – this could be a good way of making significant returns. Finding the correct company to invest in requires time and possibly professional advice, as performance varies on a year-to-year basis and from sector to sector. As with any investment, putting your money into any organisation involves a bit of a gamble. There are no hard or fast rules when it comes to investing, but it seems likely that just as there were a number of companies that saw enormous growth from computer technology, there will be other companies seeing comparable growth rates in green tech. The best approach is to do your own research into what you think is best first, then ask an informed expert like a broker for their opinion. This will also give you the freedom to directly buy shares and possibly – if you invest enough – have some sway in the running of the company. It is difficult to make accurate predictions as to what will succeed and what will fail. But with the right combination of luck and judicious investment, there is the tantalising prospect of winning big. There are a variety of new platforms that allow you to invest a small amount of money – sometimes less than a pound – into a cause of your choosing. Take Wealthify, a micro-investment platform that offers both a standard option to invest and an ‘ethical’ investment fund. If you invested £1000 and then £25 pcm over 10 years, you could expect to make between 7.25% and 26.7% depending on the level of risk that you are willing to take on. For such a long investment this is not a particularly favourable rate of return, especially compared with some of the bigger funds already mentioned. If you choose to invest in their non-ethical side for the same investment, you can expect a return of between 8-29%. The ethical fund does do worse, but only just, and as an investor, you will have to choose whether you think that the extra cash is worth the ethical compromise. Do ethical investment funds make less money? 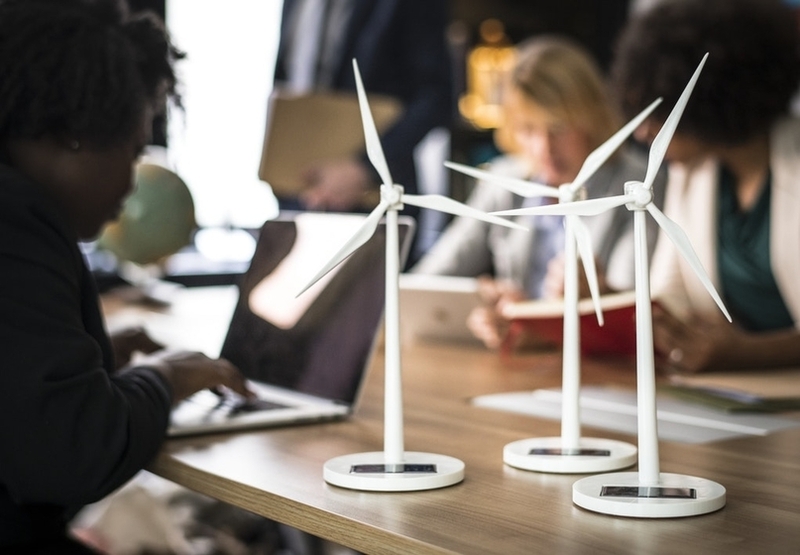 There are a host of exciting ethical and green investment opportunities for anyone looking to invest, and these opportunities are likely to increase as more people want to feel good about where their money is being used. Currently, there is a small monetary price to pay for investing ethically, but this could change over the next decade. There are also other options beyond what has been laid out here, so it is definitely worth talking to an expert who can give you the appropriate financial advice. IMC offers advice on a wide range of socially responsible investment opportunities. If you wish to speak to one of our friendly advisors contact us here.